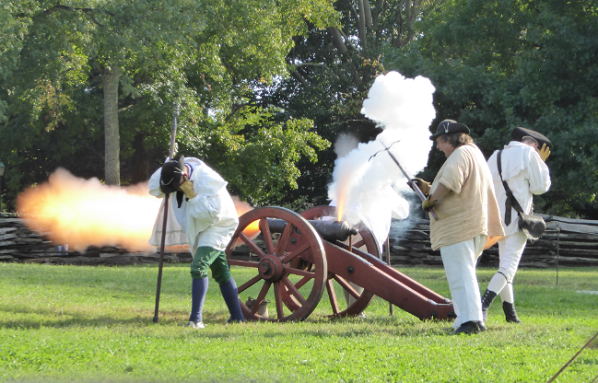 We had a great conference in Williamsburg this year. 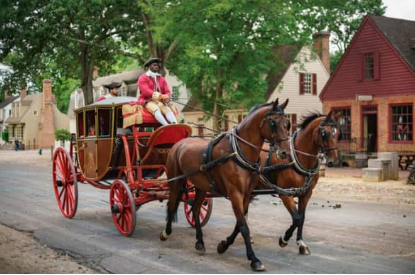 While set a bit earlier than the years on which we focus, the Colonial Village evokes the years of the revolution and Empire better than any other North American location. While most of us stayed in the Woodlands Hotel, some of us stayed in colonial houses for a great 18th-century experience. 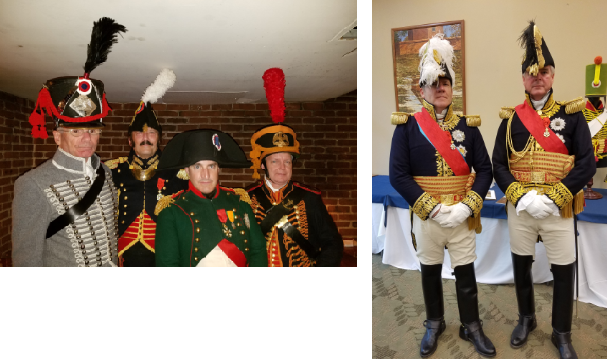 Highlights of our conference included three visits by Napoleon himself in the person of Mark Schnieder, who has portrayed the Emperor in many locations here and in Europe, including one of our earlier conferences. Friday night he told us about reenacting Napoleon. It was quite interesting. 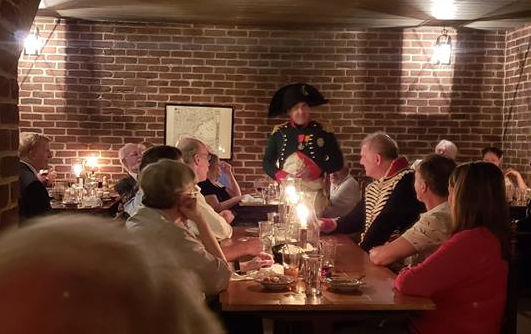 He also joined us at our Gala Saturday night, where our usual toast Vive Napoleon was even heartier than usual. 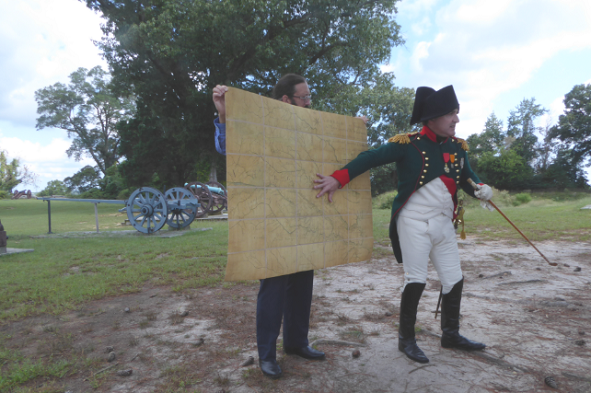 On Sunday Napoleon gave us a tour of the Yorktown Battlefield. He must have studied it well at the Ecole Militaire. While many think first of battles when thinking of Napoleon and his era, more of this year’s talks focused on other aspects of the period. We had talks on Court etiquette, women in Empire art, art and propaganda and building the world’s largest Napoleonic document collection. We didn’t entirely neglect fighting, though, with a talk on irregular warfare in the Spanish peninsula and how it affected British strategy. 7:00 Dinner at the King’s Arms. The Emperor Napoleon (our own Mark Schneider) will attend. Uniform and period dress encouraged. 6:00 Cocktails at The Tidewater Room in the Williamsburg Lodge.